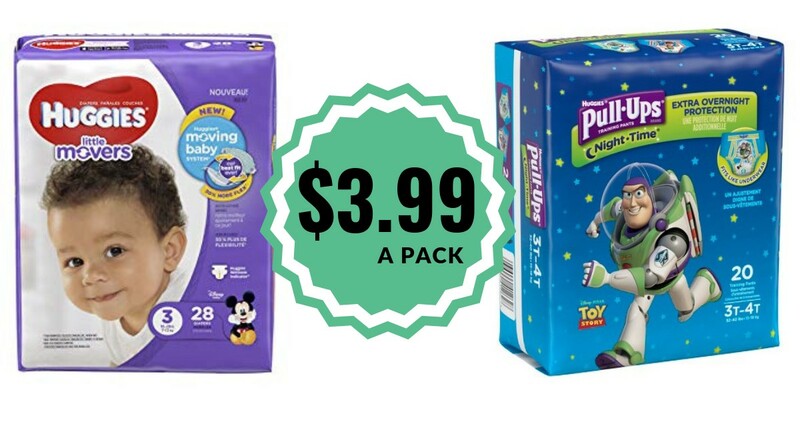 Home > Kroger Ad > Huggies Diapers or Pull-Ups – $3.99 a pack at Kroger! Huggies Diapers or Pull-Ups – $3.99 a pack at Kroger! Now through 1/22, get $10 off wyb $40 worth of participating baby care products at Kroger. Plus when you spend $25 on Huggies items, receive a $5 Catalina at checkout! See the scenarios below to stock up on diapers at a great price! Makes it $19.95 for everything or $3.99 each!